Start and end in Tehran! 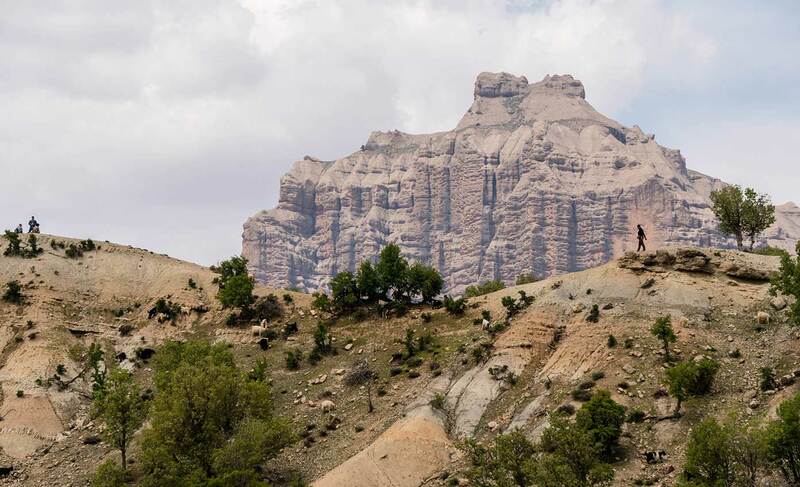 With the bicycle tour Cycling Trip, Off the Beaten Track in the Bakhtiari Lands, you have a 4-day tour package starting from Tehran, Iran to four other destinations in Iran. This is a small group tour that includes accommodation in a hotel as well as an expert guide, meals, transportation and more. Accommodation All accommodations are covered. During city stays it would be either hotels or Guest Houses (old houses which has been transferred to a hotel). 2 nights we will stay with nomads and in tents. MealBreakfasts, Lunches, Dinners. This tour offers Vegetarian and Halal food options on request. Simply let our Customer Support team know the food option that you prefer. Additional Services:Rental price of appropriate mountain bicycle and the tools a back-up car. Exploring nomadic villages. InsuranceTravel insurance is not covered in the tour price. You can organize travel insurance with your preferred insurance company. We recommend World Nomads, a company recommended by LonelyPlanet. 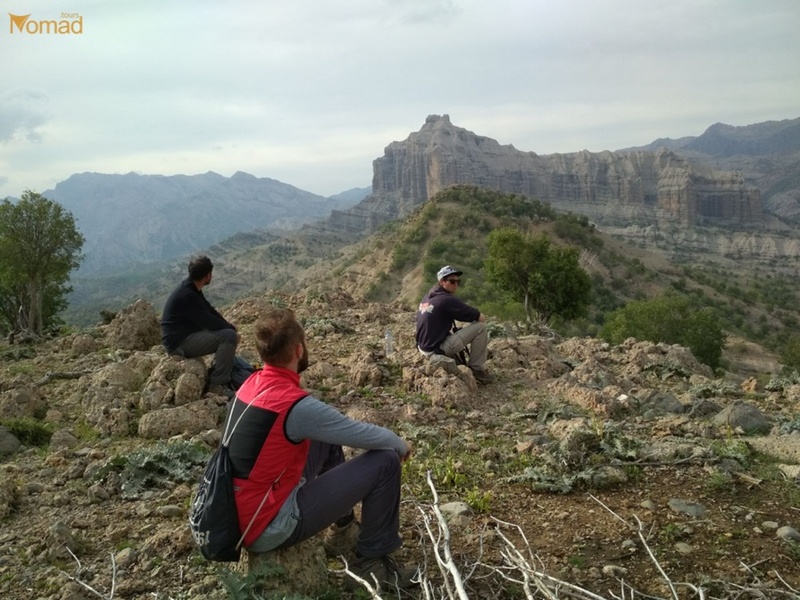 In this tour, you can truly enjoy the Original Nature of Zagros Mountains. Near the springs of Dez River you will be in touch with one of the handfuls of remaining nomad tribes in the world and also it will be a unique mountain cycling experience. Be aware that, to be able to participate in this tour, you should have adequate knowledge and ability in cycling. We will have a backup car in case of exceptions, or any emergency. The tour starts at 7:00 AM, by driving from Tehran with a car. After 5-6 hours of driving we’ll reach and visit the stunning Absefid (white water) waterfall with it’s 70m high drop. After heaving lunch near the waterfall, we will continue by car down the road for about 15 minutes, and then we will start riding our bicycles in a slope down asphalt road. In 30 minutes we will arrive to Baznavid village. There you will visit an ancient cemetery known as ‘Lion’s cemetery’, because of lion-like statues on these graves. After Baznavid village we will cycle for another 3 hours uphill and around 19:00 we will arrive to the place where the Nomads tent is placed. During the night and the next morning we will have time to discover the area and experiance nomads lifestyle. Experiencing of making bread, milking, shepherding, etc. This day we should cycle about 40 kilometers in a dirt road. We will pass by few villages like Chin and Sar-Saleh. We will have lunch in Sar-Saleh. For dinner we will arrive to Khoye village, which is on our route as well. We will continue cycling to Aqa-Seyyed village – one of the most wonderful villages in Iran (specific stepped architecture). There we will settle for the night. We will see natural salt extraction process near this village, and a waterfall in this village. 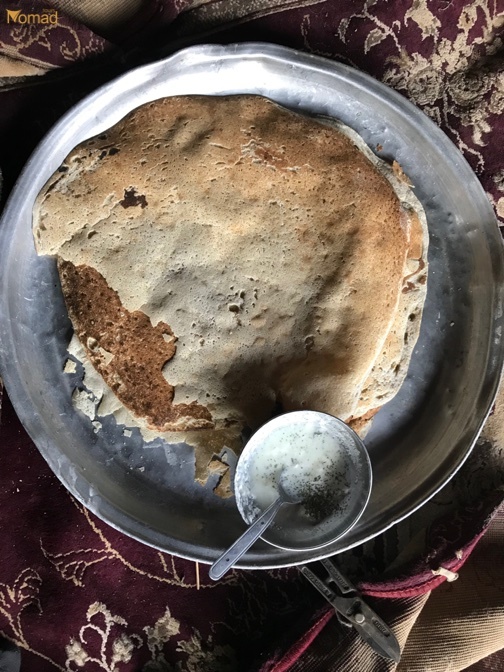 We will have lunch and dinner in Sara-agh Sayed village and after that we will leave. For the night we will stay in a home-stay in the village. Last but not least, we will drive by car to Koohrang (Chelgerd). Along the way we will take a look at an ice cave named Chama ice cave (approx. after 2 hours of driving). We will see Koohrang spring (the biggest spring in Iran where an enormous volume of water comes out from one point). Then we’ll continue driving to Isfahan, and we’ll get the night bus to Tehran.